Director of apparel design Debra Criss talks bringing Rogue One costume aesthetics to outerwear and much more. Catrina Dennis	A Charming Smuggler. Rogue One will feature all-new costumes from the Rebellion and the Empire alike, building on the signature fatigues and angled silhouettes that Star Wars fans have known for decades. Alongside the debut of all-new (but not!) outfits across the board, fans are getting the chance to suit up thanks to a massive influx of fandom fashion. 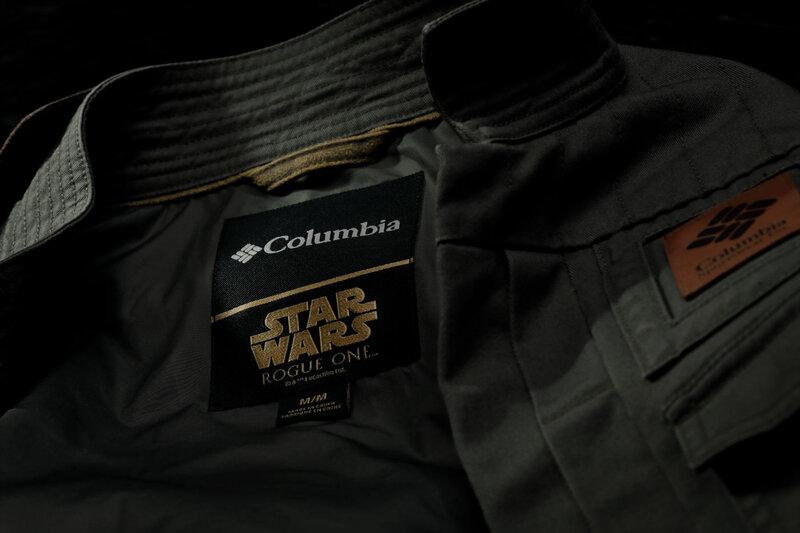 Not to be left behind when it comes to ingenuity and style, outerwear maker Columbia Sportswear has created a series of very cool jackets inspired by Rogue One, released today and just in time for the chill of winter. UPDATE: Due to popular demand, the Cassian Andor Rebel Parka has sold out online. It may, however, still be available at Columbia Stores listed at the bottom of this page. StarWars.com sat down with Columbia’s director of apparel design (and Imperial die-hard), Debra Criss, to talk about the new line and what makes it pop. Infused with state-of-the-art technology, the new jackets are ready for daily wear — or, if the situation calls for it, a vicious beach battle for the galaxy’s safety. StarWars.com: There’s always an interesting process behind how these things come to fruition. With the movie still in production at the time, what kind of process happened to create these? Debra Criss: Our biggest goal here was really to take the idea of a costume — these beautiful and incredible things that the characters wear in the film — and make it into a genuinely functional product, and a really high-quality one at that. We wanted to include as much of our technology as possible, but really stay as true to the on-screen depiction as we could, because fans want something realistic and wearable. I think we were given that opportunity with this film. 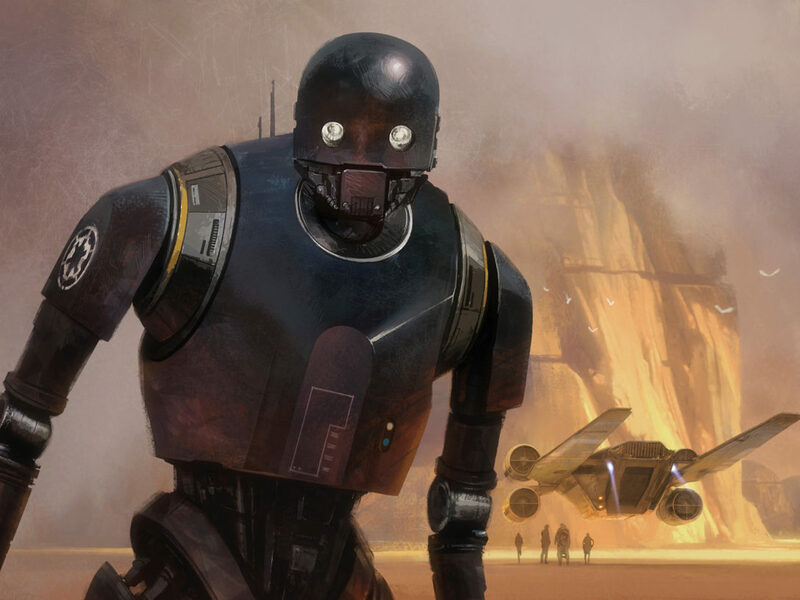 StarWars.com: While you were working on the concepts from the jackets, were there people who were kind of like your bases for Rogue One information? What did you get to see? Debra Criss: We were able to look at concept art before the film so that we could replicate the costumes, but the best part was that we were able to head over to Lucasfilm and really meet with some of the people putting this film together. We worked with the marketing team, as well. Personally, it was really exciting, because everything is so under lock-and-key, so it was fun to work with the concepts ahead of the film. I went to school for costume design initially, and then switched to outdoor and technical apparel, so for me, it was a meeting of two personal worlds. It was amazing to be able to work on a “costume-inspired” technical product. StarWars.com: Since you have a background in costuming, are there any outfits or pieces from the Star Wars saga that stand out to you as a designer? Debra Criss: I mean, obviously, it’s hard to pick, but quite frankly, the stormtrooper is a bit of a holy grail for me. It’s the architecture of it all, and again, it’s the meeting of two important aspects of [my] career, because it’s so technical and purposeful. When you look at the suits, there’s bonding and pleating inside and all of those things come to mind with that. So, I think that’s got to be my favorite costume of all time. StarWars.com: That actually leads me right into the death trooper jacket, because you had to bring an armored look to the wearable audience, whereas Jyn and Cassian’s costumes use actual fabrics. What made you use the material you did? Debra Criss: We used our OutDry Extreme technology for this jacket, which is something we developed in-house at Columbia. It’s a super waterproof, breathable fabric, but traditionally it would be on the back of the textile — we’ve brought it to the front. 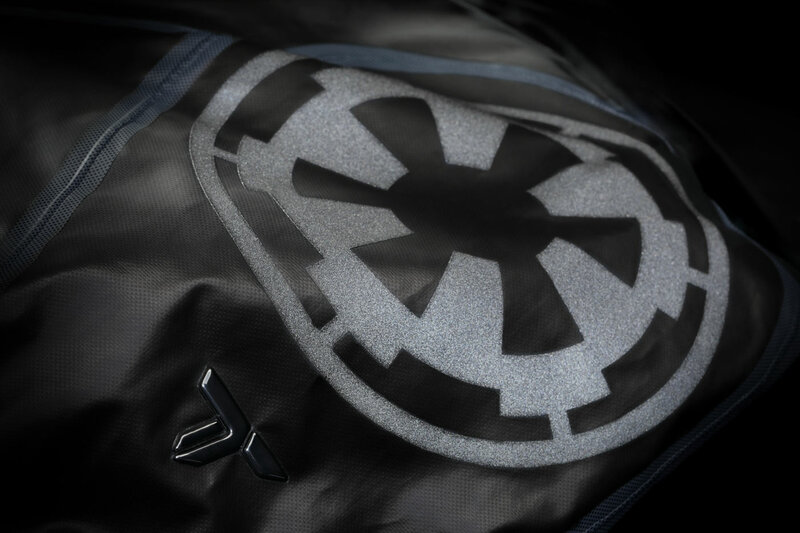 Death troopers battle in harsh conditions, so it sort of fits with the material itself. The bonus in the end is having something that looks a lot like leather, and feels a lot like leather, as well. I think the fabric really tells the story of the armor, too, because it’s so protective when it comes to the weather. We thought that this would just be the absolute perfect platform for the death trooper, because it gives you a lot of opportunities to add graphic components to the piece. So that, if you look at it, is where things like the reflective insignias are. 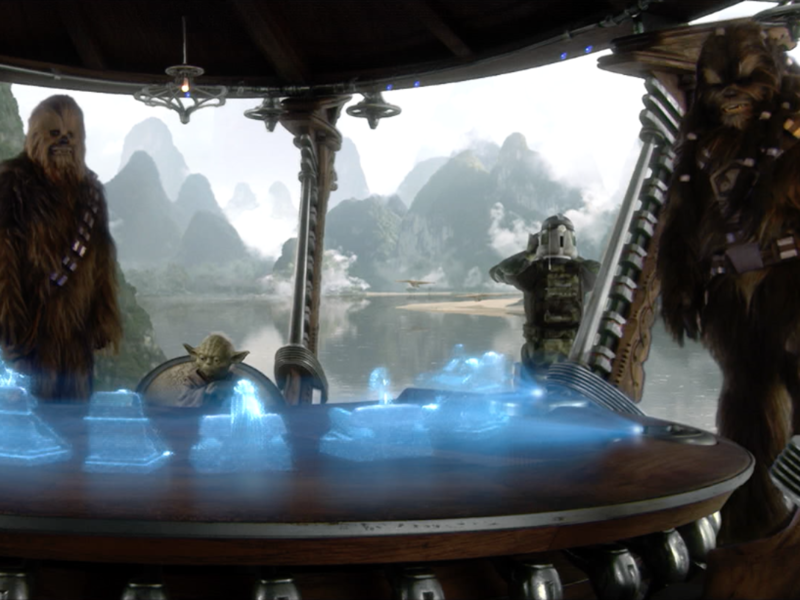 StarWars.com: Let’s get personal, Debra — about your own history. What made you into a Star Wars fan? How does your fandom play into your career? Debra Criss: Honestly, Return of the Jedi is still my favorite movie, and I’ll tell you why: I honestly never got over the stormtroopers. When I was a kid, I was a stormtrooper for Halloween, and my brother was really just a superfan. So my memories usually revolve around us and it’s really nostalgic for me on a personal level, because of that family connection. So now, it kind of feels like a badge of honor, working on these pieces. Now I can say, “Hey, guess what I got to work on?” So there’s a lot of things for me that are wrapped up in Star Wars. 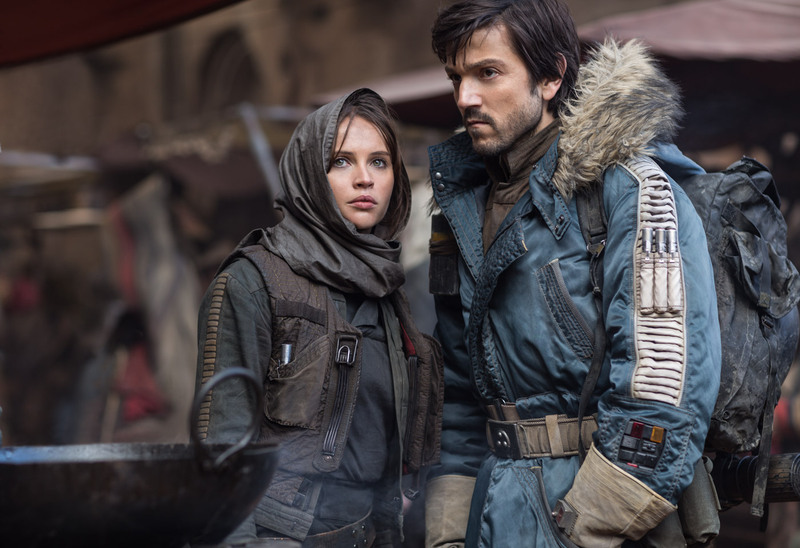 And as far as style and design goes, I think the Jyn jacket is such a perfect piece because it’s so wearable, and you can kind of take it anywhere. It was really exciting to be able to work on that one too, because of her being this powerful female character. StarWars.com: So if we took stormtroopers out of the picture when considering your personal style, is your wardrobe more Empire or Rebellion? Debra Criss: Oooh. That’s a tough one. To be honest? I think I’m going with Empire. 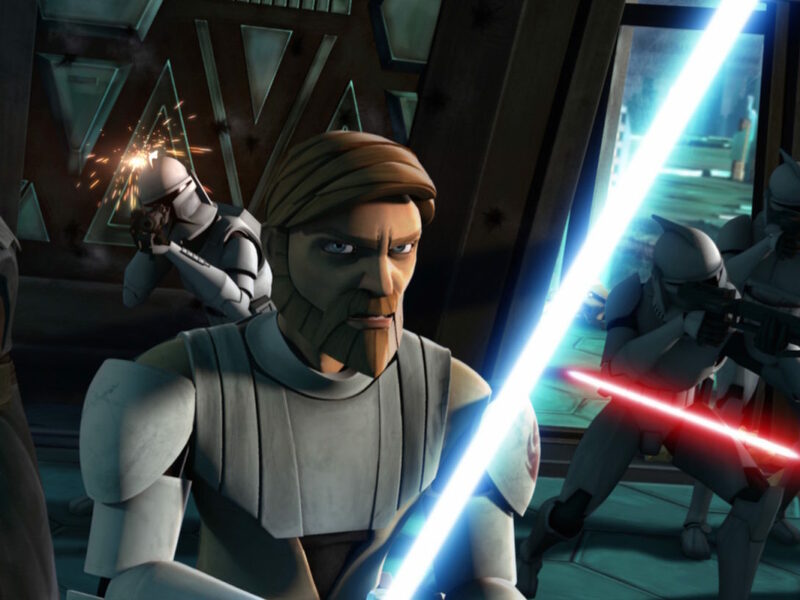 StarWars.com: Oh? What attracts you to the Empire? Debra Criss: Honestly, all of the graphic work on the costumes. Not screen printing, but the harsh angles and lines of the uniform. It really defines the look. StarWars.com: I feel like we’ve really entered a new era with pieces like these because there are now more female characters, whereas a lot of costume-inspired apparel has found itself floating closer to male heroes of the story. What was it like working with Jyn’s costume and bringing it to life as a wearable? Debra Criss: Well, it’s important to me personally to bring out the likeness of a heroine like this. There are a lot more women who like Star Wars, who are all out there, that not a lot of people have acknowledged until recently. So I think it’s a huge misconception that there’s some kind of massive disparity between the sexes when it comes to having the audience for this. 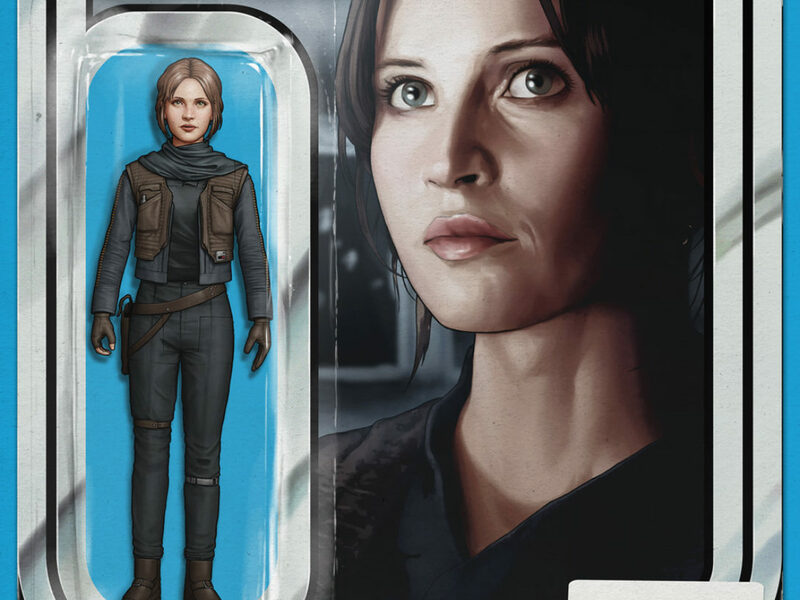 Plus, Jyn’s character is so important to the movie, and she’s this incredible new character on the scene, so we didn’t want to pull focus from her when we were selecting which pieces we’d take on. So, it was exciting, and I see a lot of comments asking for men’s sizes, which is awesome, but it’s nice to design something kind of exclusive for women to wear. As a brand, we want to make sure we’re inclusive to everyone, so these exclusives work the same way the male sizes do. 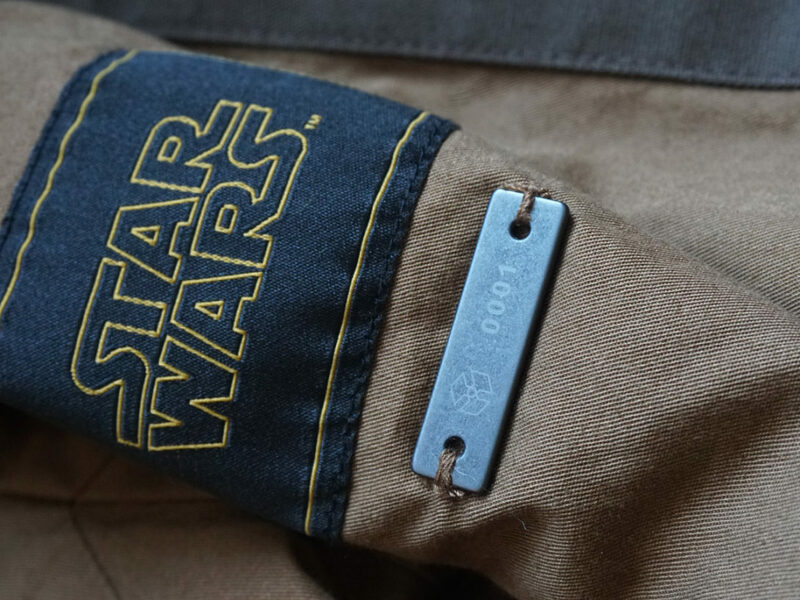 StarWars.com: Diego Luna is also joining the fray as Captain Cassian Andor and, honestly, the jacket you created for it is so beautifully complex. What was it like bringing his look into this more technical, functioning form? Debra Criss: It was actually really natural, because it’s a piece that we might have made as a brand anyhow — it’s very rugged and practical, but protective too. So, it was great because we got to bring a bunch of our technology and style into this. 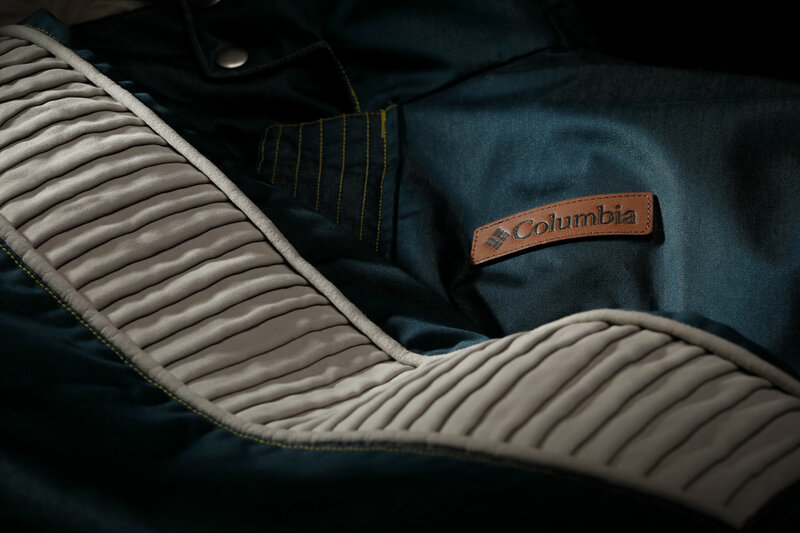 We’ve included our TurboDown Insulation, which is a mixture of natural and synthetic insulation, Omni-Tech waterproof breathability, and Omni-Heat Reflective in the lining. And just all of the different pocketing, the pleating on the sleeves, and all of the detail make it feel like something we might wear any day. So, it was really exciting to bring it almost directly off of the screen and into the real world. StarWars.com: On that note, you bring a lot of your technology to these pieces — are there any major changes from the film outfits that fans might enjoy during everyday wear? Debra Criss: Well, one of the things about the Cassian piece is — because we’re dealing with costumes, there’s a lot of things that simply don’t function on the on-set pieces. So we were sort of able to take some of the lines on his jacket, for example, and make them into real pockets, where they maybe weren’t pockets at all on the costume. We have this access zipper on the right-hand side of the jacket, and it’s there so that you can get to your pants pockets easily without having to open the jacket up at all. What’s cool about that is, on the actual costume, that part was made so that he can access a blaster. So we were able to kind of re-imagine a lot of the pocketing for example, so that it’s functional for the user. StarWars.com: Now for the super fun part. 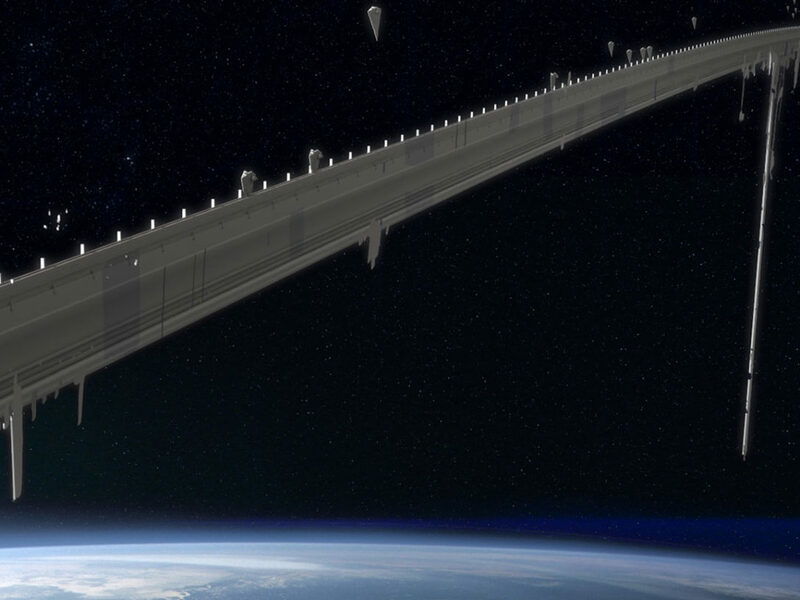 What would your weapon of choice be in the never-ending battle for the galaxy? Debra Criss: Oh, a lightsaber, obviously. And the blue one, too — that shade of blue is my absolute favorite color. I think I want to work with that some day. 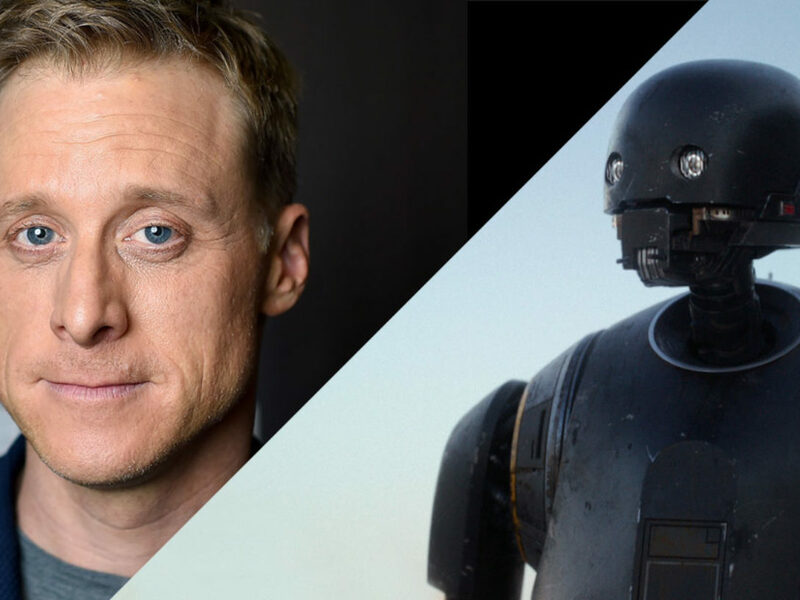 StarWars.com: And going into Rogue One, what are you most excited about seeing on-screen? Debra Criss: All of the new planets. I think the way they look in the trailer, and in the art, it’s really so different. I’m really excited to see the new kind of grittiness come through — well, when I say that, I mean the “old kind,” but in a new way. I can’t wait to explore what’s on that battlefield. 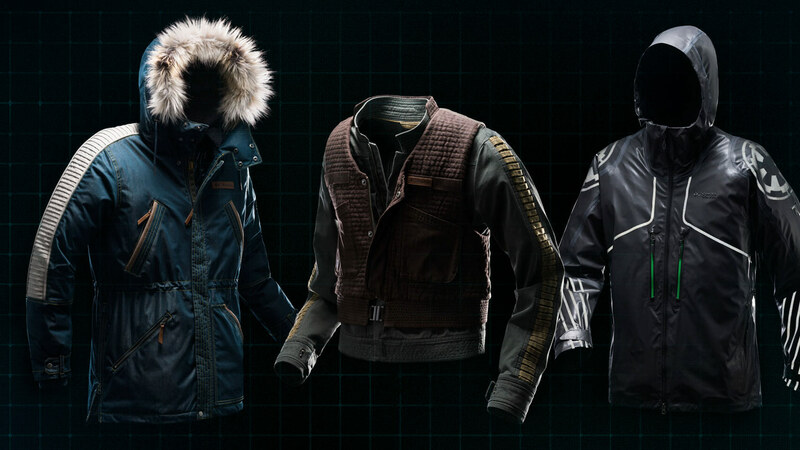 The Jyn, Cassian, and death trooper jackets are available at Columbia Sportswear now. 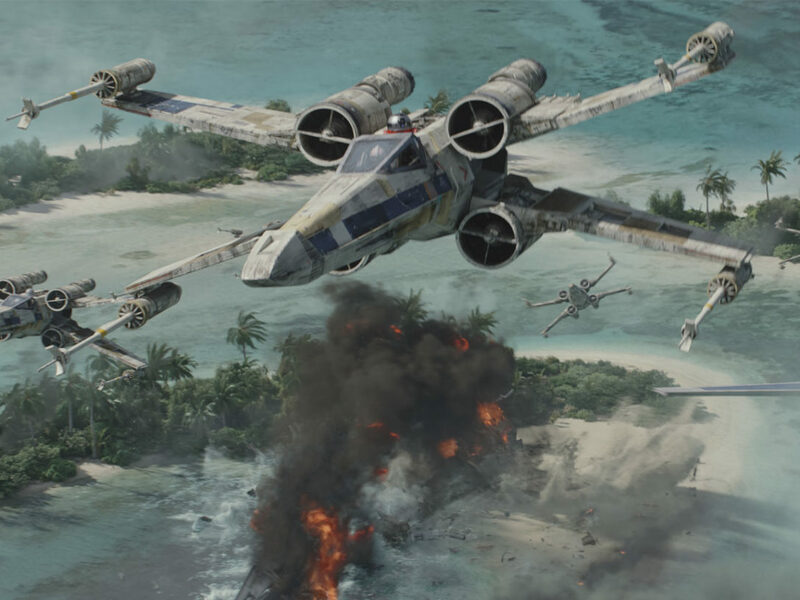 Rogue One: A Star Wars Story arrives December 16, 2016. Visit the official Rogue One: A Star Wars Story movie site for tickets, trailers, and more Rebel intel. Catrina Dennis is a writer and Star Wars die-hard. In her spare time, she tells stories, yells very loudly about soccer, and hosts a few very cool podcasts. 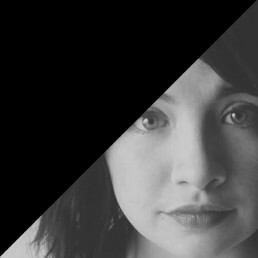 Catch up with her on Twitter @ohcatrina.